Google is hard at work developing an Android Wear companion application for iOS that will bring support for the company's smartwatch platform to the iPhone, according to the latest report from The Verge. 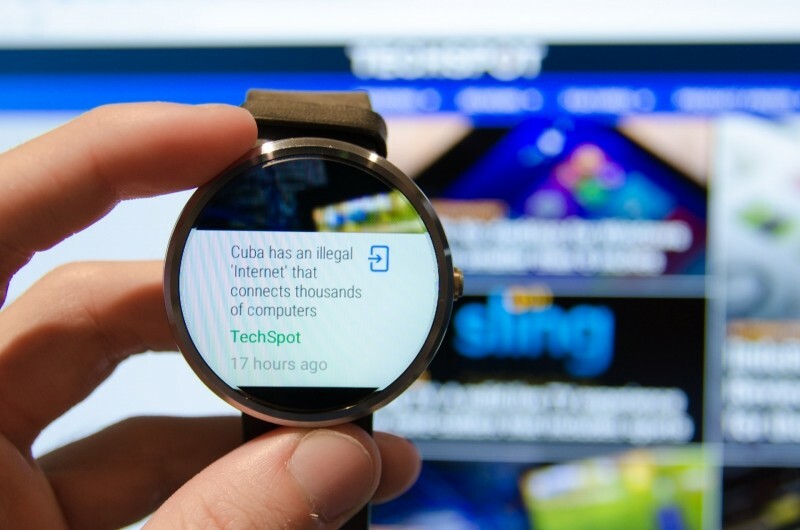 There is currently a working prototype of the application being tested internally at Google, and it supports some of the main Android Wear functionality. The app is able to send notifications through to an Android Wear smartwatch, and it also supports most Google Now features including voice search, information cards and a range of voice actions. More advanced functionality will be available if you install some of Google's other apps. When you install and use Gmail, for example, you'll be able to reply to emails directly from your smartwatch, as you can currently do on Android. If Google follows in the footsteps of Pebble, music controls will also likely be available. If Google does end up releasing an Android Wear app for iOS, it will be interesting to see if Apple approves the app and allows it into their App Store. Apple's own guidelines for app approval prohibit developers from mentioning rival platforms, so it's unclear if something called 'Android Wear' would meet Apple's requirements. Apple may even decide to reject any Android Wear apps on the basis that the company has their own Apple Watch available to purchase. Pre-orders of the smartwatch started today, and so far early reviews have been reasonably positive. Neither Google nor Apple are commenting on Android Wear for iOS at this stage, but if there are plans to release an app, the current state of development suggests it's not too far away.